OTTAWA — Canadian Foreign Affairs Minister Chrystia Freeland told a conference here yesterday that the protection of journalists and the functions they perform are key to the proper function of civil society. A free media, Freeland said, is critical to holding politicians to account. 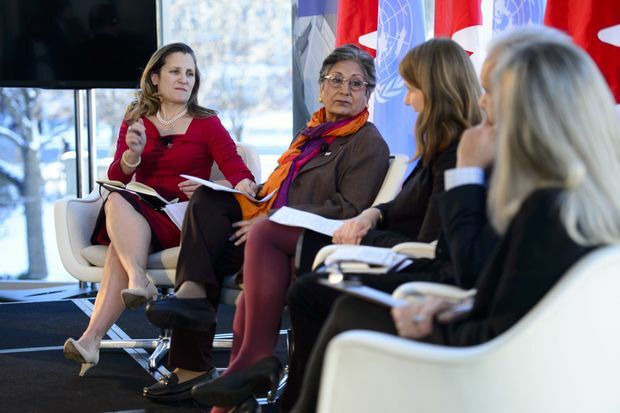 Freeland made the comments to an audience of community-based representatives, media, government officials and diplomats on Wednesday at the National Arts Centre, where she moderated a panel discussion. 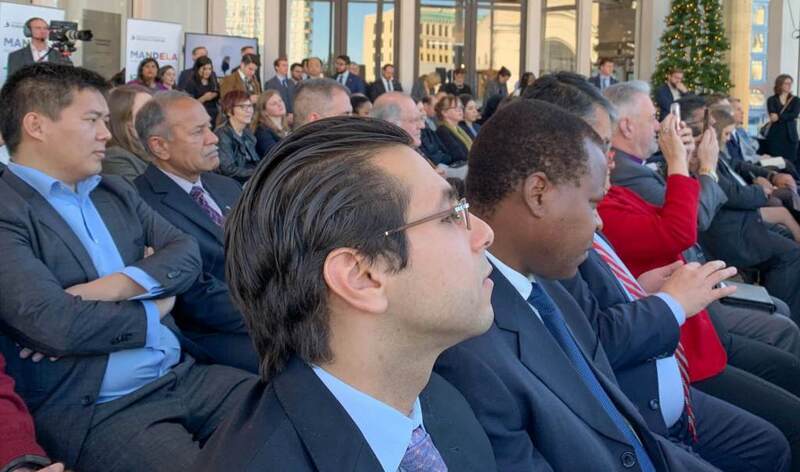 The event was hosted by office of Human Rights, Freedom, and Inclusion (OHRFI), in commemoration of the 70th anniversary of the Universal Declaration of Human Rights. The gathering came just one day after Time magazine named a group of journalists who have been targeted for their work as Person of the Year. They included the slain Saudi columnist Jamal Khashoggi, a critic of Saudi Arabia’s crown prince who was killed two months ago at the Saudi consulate in Istanbul. Besides Khashoggi, Time’s honorees include the staff of the Capital Gazette newspapers in Maryland, where five people were shot dead in June; Maria Ressa, the founder of Rappler, a news start-up under attack by the authoritarian president of the Philippines; and U Wa Lone and U Kyaw Soe Oo, two Reuters journalists imprisoned in Myanmar after reporting the massacre of Rohingya people. At least 52 journalists were killed globally this year, according to Rachel Pulfer, one of the four panelists, and executive director of Journalists for Human Rights. “The press is the custodian of the social contract between state and society. Increasing attacks on journalist force society to ask a critical question,” Pulfer told the crowd. Freeland was also joined by Brendan de Caires, executive director for PEN Canada, Raheel Raza, the president of Council for Muslims Facing Tomorrow, and Rachel Vincent, the director of advocacy and media for Nobel Women’s Initiative. All four panelists focused on freedom of expression and the protection of journalists.